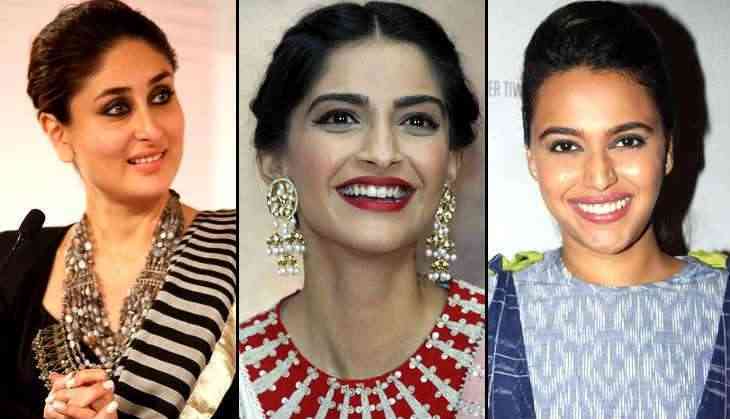 Actresses Sonam Kapoor and Kareena Kapoor Khan flew into the capital for the shooting of the first schedule of "Veere Di Wedding". Sonam's sister and film's co-producer Rhea Kapoor says the team is excited to start the shoot here. "Delhi is a key location. The food, the fashion and everything it has to offer in terms of the lifestyle sector made it the ideal location to shoot 'Veere Di Wedding'," Rhea said in a statement. The film also stars Swara Bhaskar and Shikha Talsania. "Veere Di Wedding" is a fun ride that explores the spirit of the modern Indian woman. The first schedule will be shot here and will extend for over a month. Talking about shooting in the capital, co-producer Ekta Kapoor added: "Delhi forms an essential part of the narrative of the film and as a city, it adds to the vibe of Veere in a big way! Bebo, Sonam, Swara and Shikha are going to take Delhi by storm and all of that will translate beautifully onto the screen". Directed by Shashanka Ghosh and written by Mehul Suri and Nidhi Mehra, "Veere Di Wedding" will have a 2018 release.